A new third party tool called Siri0us has appeared that brings Siri Dictation (speech-to-text) to the iPhone 4, iPhone 3GS, and iPod touch 4G. The add-on, which requires a jailbroken device, uses Nuance technology to work almost exactly like the dictation feature of Siri does to convert your speech to text. It’s accurate and initiated via the onscreen keyboard, but it does require an internet connection in order to work. If your iDevice keeps respringing, do not restore! Use a SSH tool to remove the /System/Library/PrivateFrameworks/AssistantServices.framework file. UI elements of Siri0us are obviously different from the real Siri, and you won’t get any of the other Siri features, but if you want a similar implementation to just get your words into text, Siri0us should get the job done. Update: Siri0us has been taken down. Nice but what we REALLY want is NAVIGATION, etc. I’ve had dragon installed for some time that looks to do the same without jail breaking the phone. 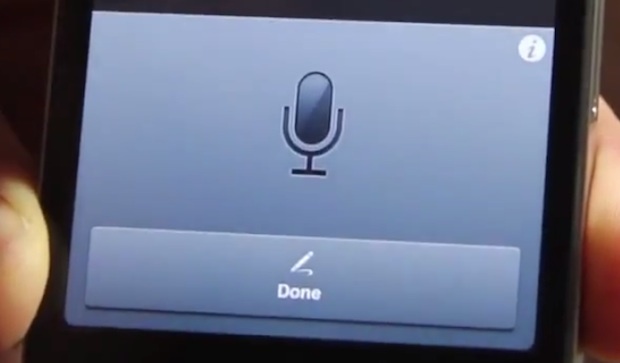 This isn’t really Siri or anything close, it’s just basic speech-text dictation. And it doesn’t work on 3GS, atleast not on my 3GS. iPhone 4, the key is there in my keyboard, but got no luck with any spoken text, even simple hello does not work, just see the three purple dots, which just disappear after a while. that’s it.